There’s something magical about sitting round a big table as a family and sharing a meal together. We’ve been doing it like this for centuries. You only have to look at the movies for inspiration. There are plenty of infamous movie scenes set around the dinner table, as it used to reflect every day life. It’s only in the last few decades that we’ve fallen out of practice. Eating off your knees in front of the TV just doesn’t quite feel the same. All too often these days, we don’t seem to make the effort to sit at the table unless it’s a special occasion. If it’s a family do or a dinner party then we might use the dining table but most of the time it’s covered in mail, newspapers and car keys. The poor old dining table gets burdened with the detritus of everyday life and not used for the purpose for which it was built. It wasn’t like this in the movies. There are plenty of famous scenes in films set around the dinner table. It works because it’s a convenient setting, allowing the protagonists to sit facing each other and exchanging dialogue. In Quentin Tarantino’s violent WW2 thriller Inglorious Basterds much of the action takes place around various dinner tables. It’s a similar story in the classic The Godfather, although we hope your family is not quite as dysfunctional. Maybe it’s about time that we reclaimed our dining tables and started using them again to eat as a family. It’s a great time to sit around and chat, without the distraction of the TV, the laptop or mobile phones. Eating around the dinner table is great for family bonding and really finding out about how each other’s lives are going. If you’re not eating at the table, you might be missing out on some precious family bonding time. That episode of Eastenders really isn’t that important. Besides, that’s what catch-up TV is for. Make the dining table the centrepiece of your dining room or living space and we think you’ll notice a much more harmonious and pleasant atmosphere around the house. Bring the family together around a dining table, like they do in the movies, and learn more about each other and grow closer. That’s what the power of sharing a meal together can do. 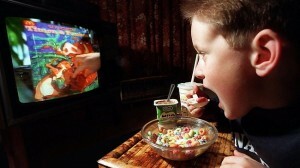 Let’s put an end to TV dinners, let’s have some more movie style meals. Reclaim your dining area and start celebrating meal times as the important occasions they are. This is a guest post from Sainsbury’s. 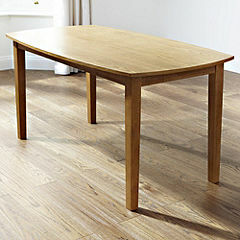 They have a huge range of dinner tables to choose from so check them out online today. Categories: Home & Garden, Kitchens, Lifestyle, Shopping.